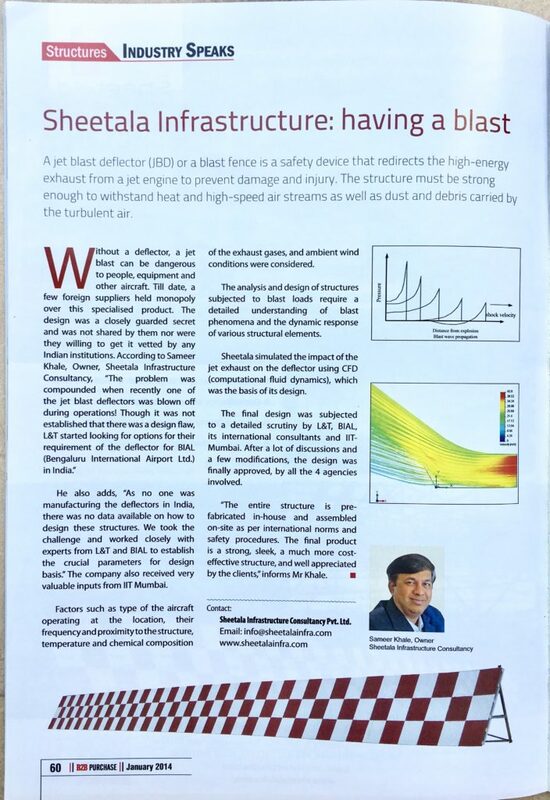 > Jet Blast Deflector – Sheetala Infrastructure Consultancy Pvt. 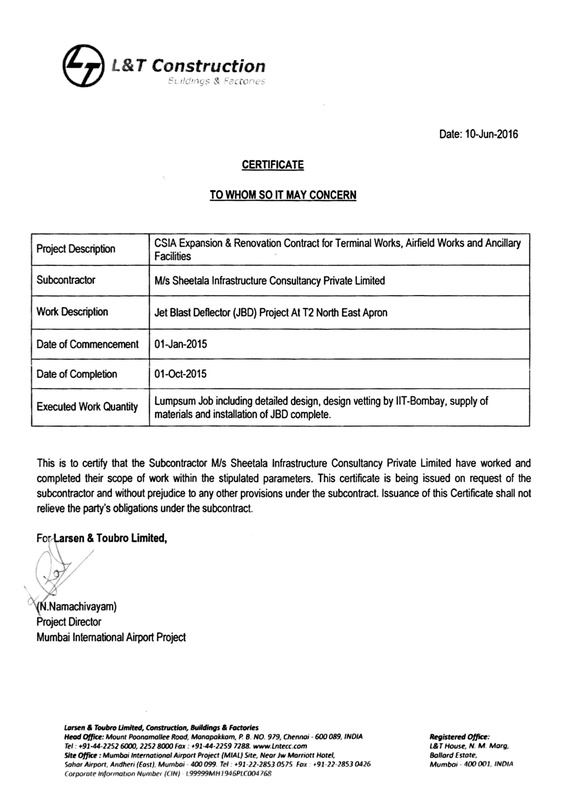 Ltd.
Sheetala Infrastructure Consultancy Pvt. Ltd. 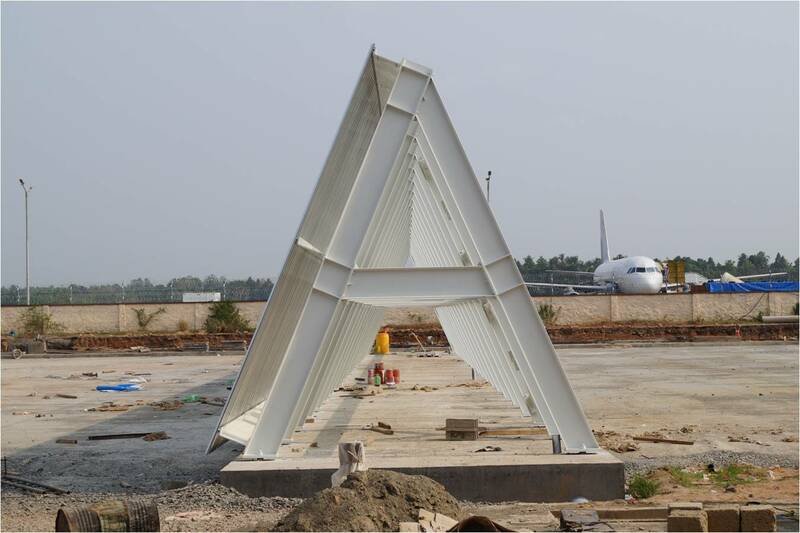 The airside at all airports is trafficked by aircraft and also by essential vehicles for airport operations and services. 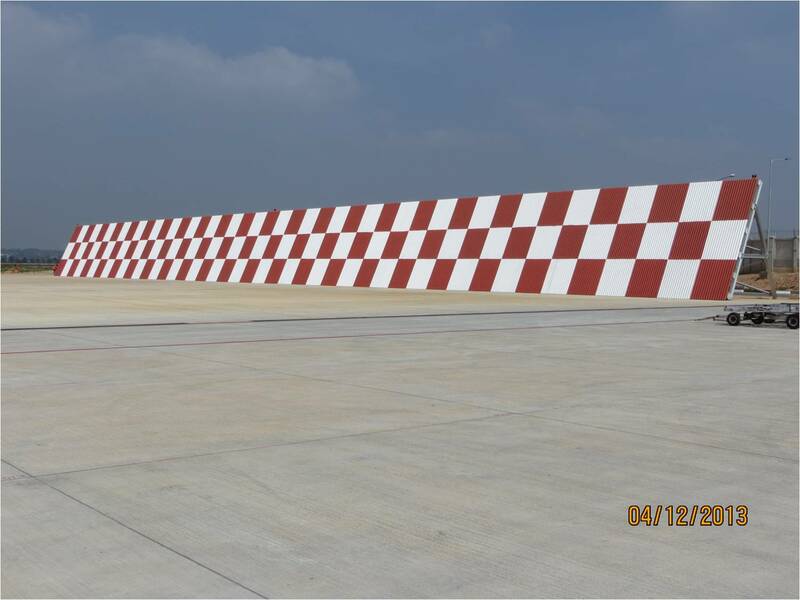 Operations and maintenance manpower also needs to access airside. The Jet Blasts from aircraft engines is a safety hazard for these vehicles and manpower employed on the airside. 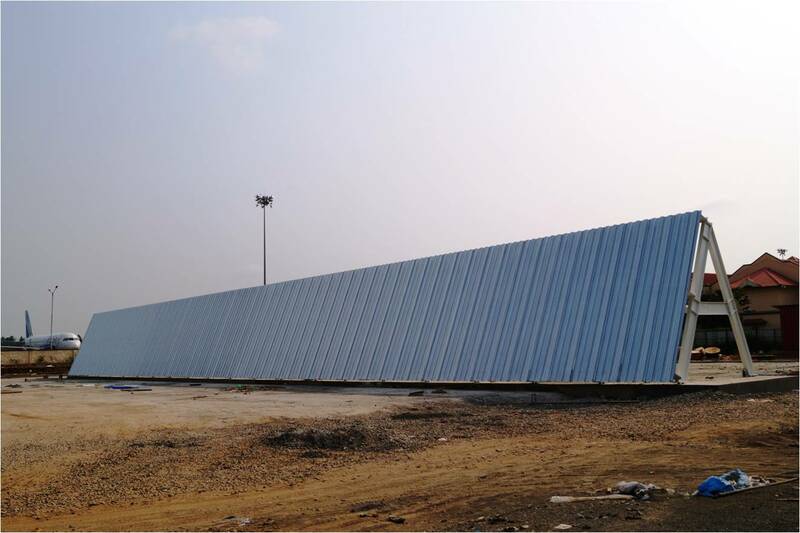 Sheetala Infrastructure is the only approved manufacturer of Jet Blast deflector in India, offers an import substituted product of the same quality at a lesser cost and lead time, and saving valuable foreign exchange. 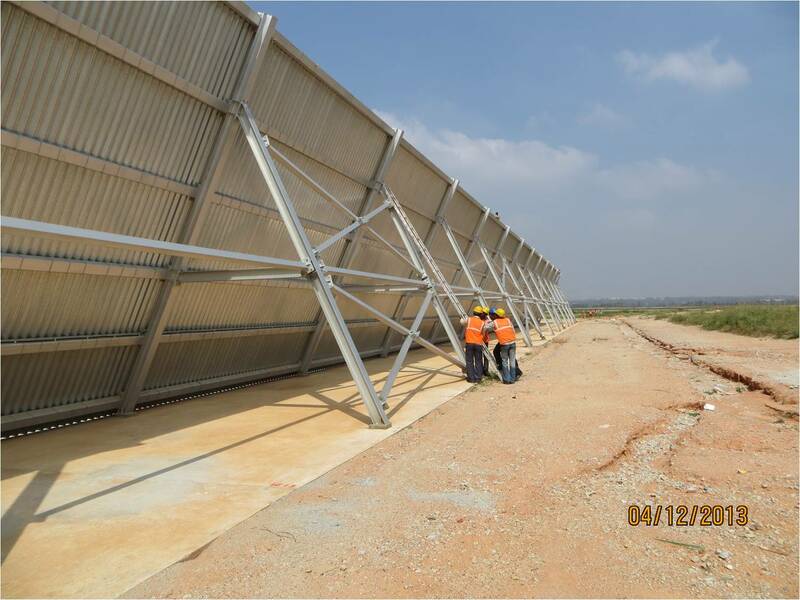 For their protection it is essential to provide Jet Blast Deflectors ( also known as Jet Blast Fences). 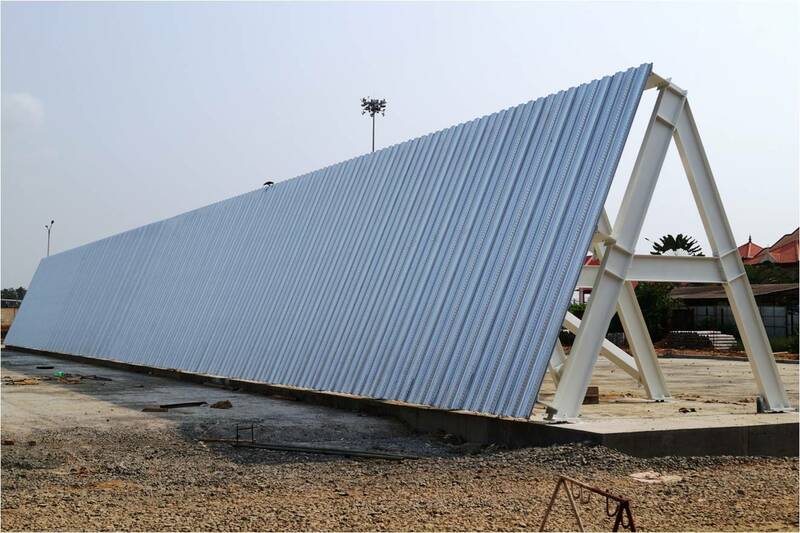 Jet Blast Deflector is essentially a structure constructed as a safety device that redirects the high-energy exhaust from a jet engine to prevent damage and injury. ICAO recommends jet blast velocities above 56 Km/ hr (35m/hr or 15m/sec or 50 ft/sec ) as undesirable for personnel deployed for the operation of equipment within that area.Aircraft data manuals published by the manufacturers provide wind velocities behind the aircraft indifferent modes of operations viz; Take off (at Runways), Break away ( at Taxiways and Taxi lanes)and Idling . 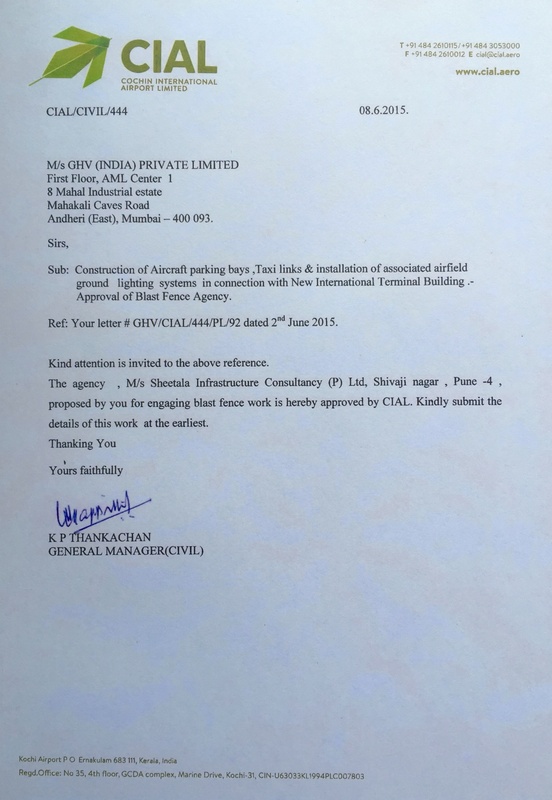 The actual product specifications vary as per the application envisaged and are defined by the airport operator i.e. 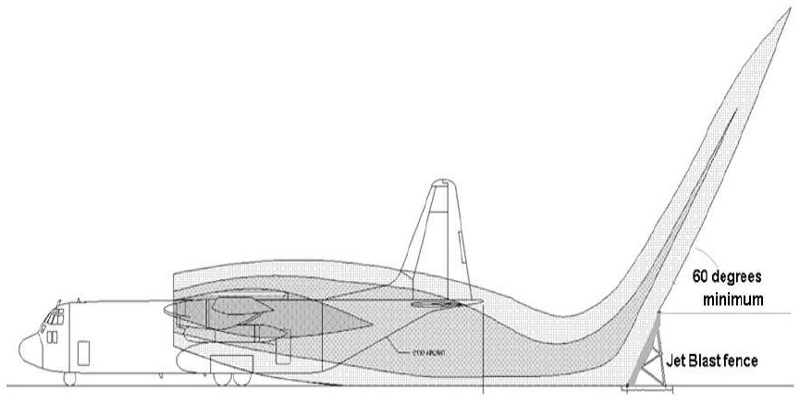 for Take-off thrust, Breakaway thrust or Idling thrust of the aircraft, the prevailing wind considerations and the distance at which the Jet Blast Deflector is to be located behind the aircraft movement path. 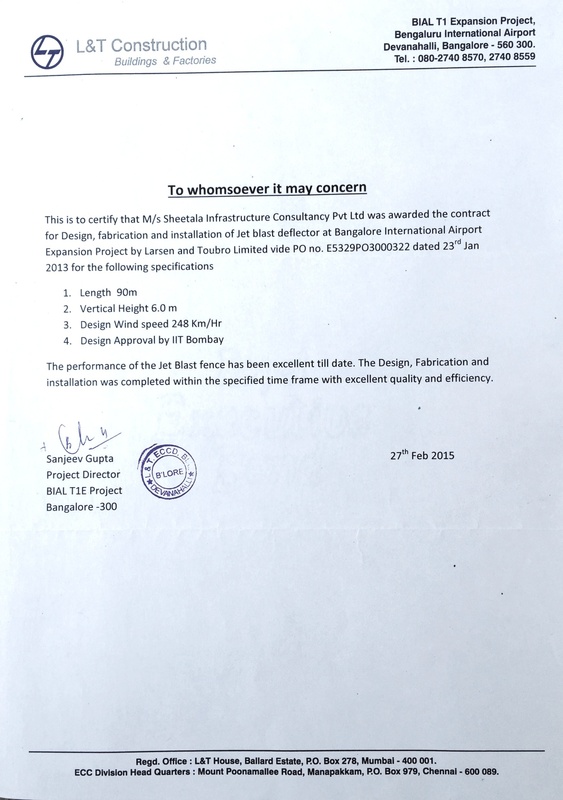 The specifications therefore vary from project to project. 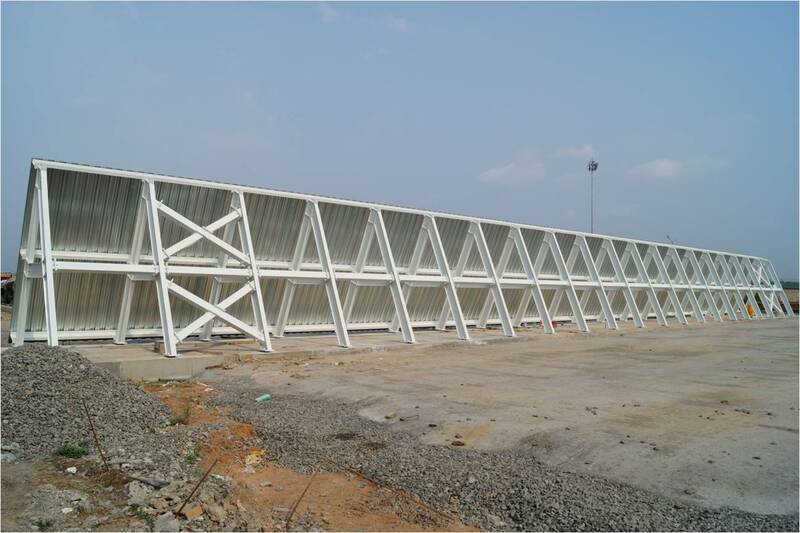 Our Jet Blast Deflectors are therefore custom designed and manufactured for each project. 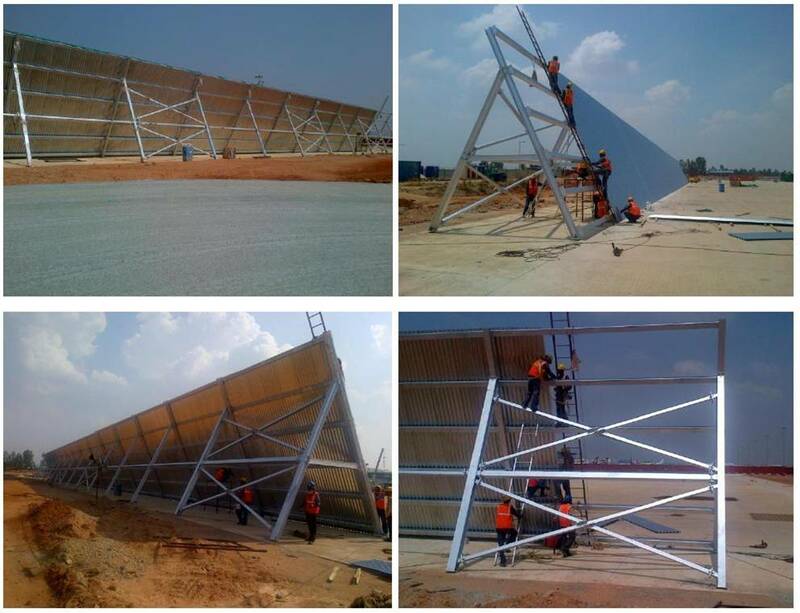 The structural designs are done by our in-house design team catering to all combination of loading conditions. 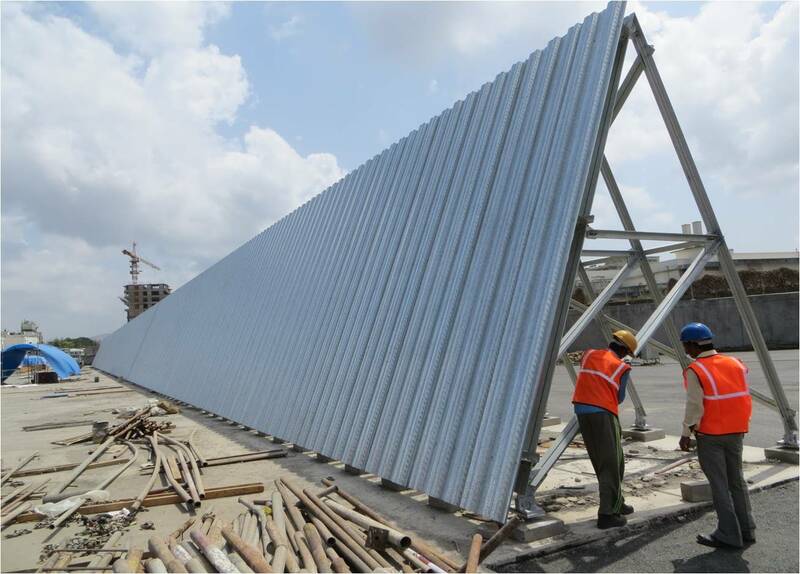 The structural designs are validated by IIT-Bombay as also duly checked by our client’s design and design management teams viz ; L&amp;T, Bangalore International Airport Ltd. Mumbai International Airport Ltd. and CH2Mhill. Apart from the structural designs we have carried out Computational Fluid Dynamic studies for design of the Deflector system. 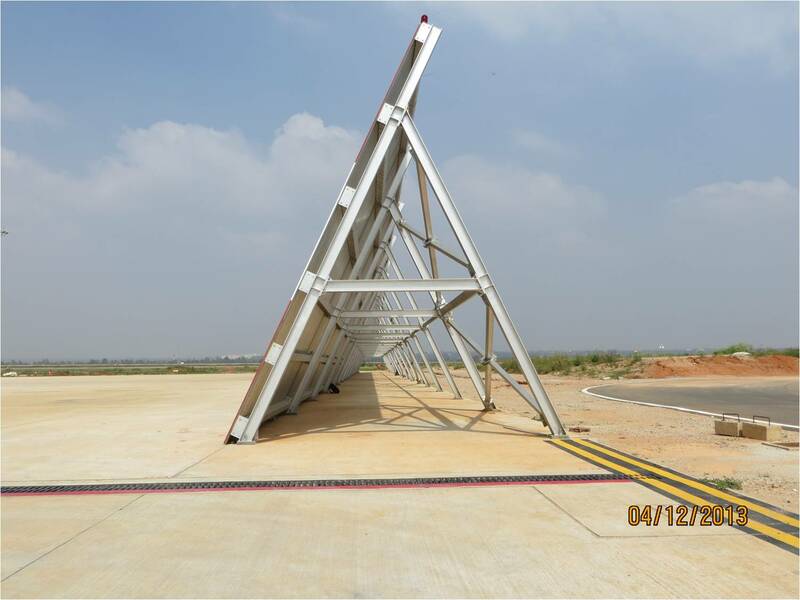 The Jet Blast Deflectors are entirely pre-fabricated in-house and assembled on-site as per international norms and safety procedures. 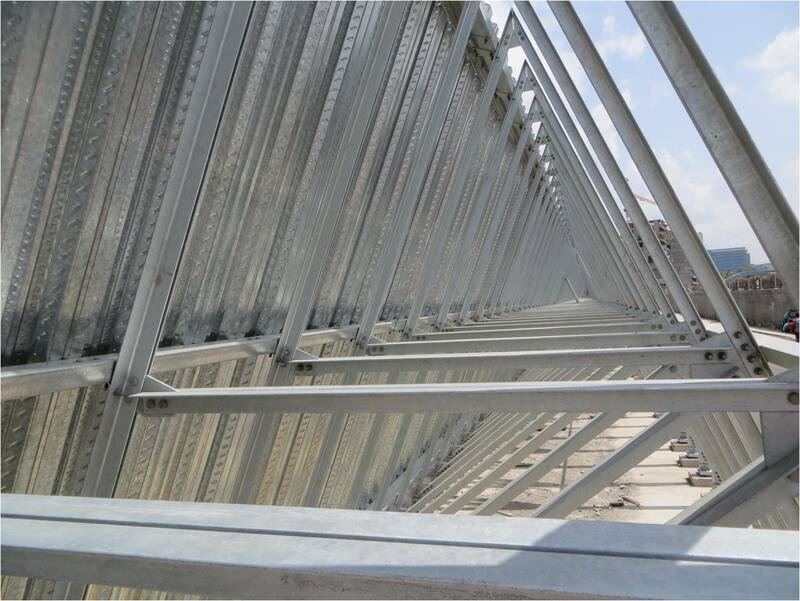 The final products are strong, sleek, and well appreciated by our clients for quality and project execution time. 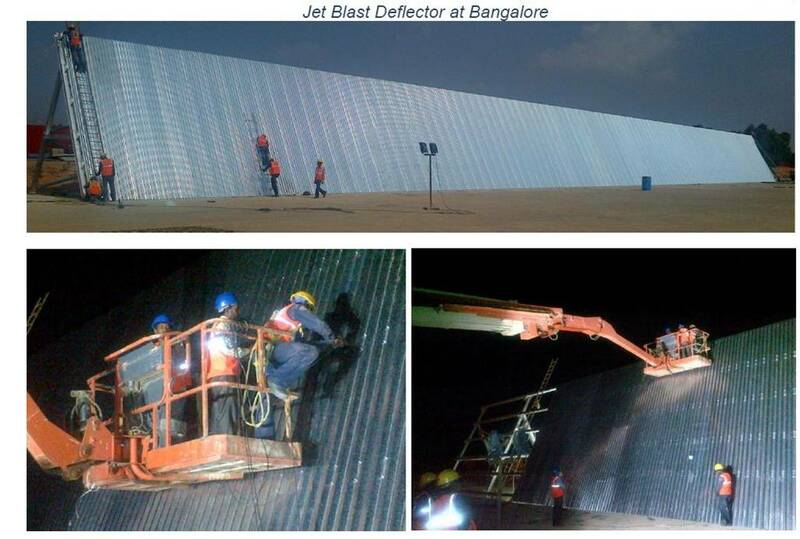 Our Jet Blast Deflectors are Designed & Made in India and most economical products in their category in the world. 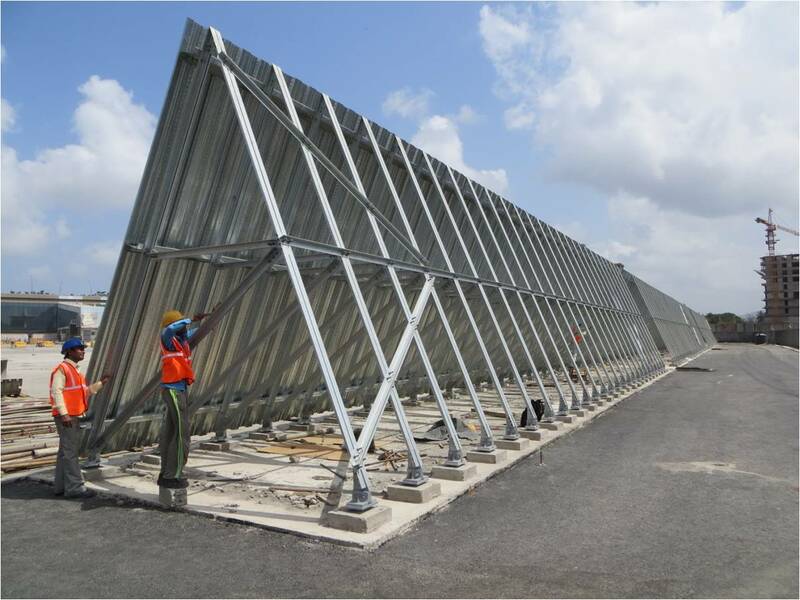 On basis of our project delivery track record and cost advantage, we have won repeat orders from L&T and developed new clients like Mumbai International Airport Ltd. Bangalore International Airport Ltd. and Cochin International Airport Ltd. This has also generated a number of international inquiries from countries like Sri Lanka , China, Philippines Israel etc.